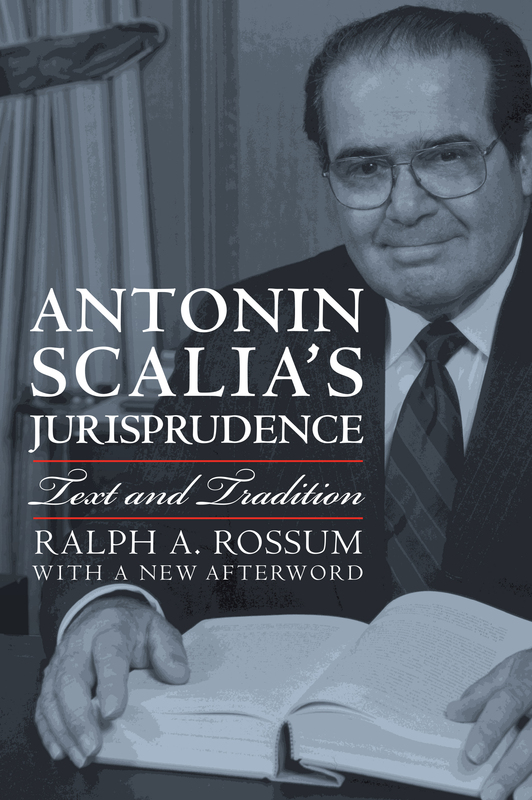 In the new afterword Ralph Rossum covers Antonin Scalia’s entire career and discusses the thirty-eight major opinions since the original 2006 publication, including District of Columbia v. Heller, his dissent in the Obamacare cases of NFIB v. Sebelius and King v. Burwell, his important recess appointments case of NLRB v. Noel Canning, his procedural decisions on the Fourth Amendment and the Confrontation Clause, his equal protection (racial preference) opinions, and Hein v. Freedom from Religion Foundation. Rossum reveals Scalia’s understanding of key issues confronting today's Court, such as the separation of powers, federalism, the free speech and press and religion clauses of the First Amendment, and the due process and equal protection clauses of the Fourteenth Amendment. He suggests that Scalia displays such a keen interest in defending federalism that he sometimes departs from text and tradition, and reveals that he has disagreed with other justices most often in decisions involving the meaning of the First Amendment's establishment clause. He also analyzes Scalia’s positions on the commerce clause and habeas corpus clause of Article I, the take care clause of Article II, the criminal procedural provisions of Amendments Four through Eight, protection of state sovereign immunity in the Eleventh Amendment, and Congress's enforcement power under Section 5 of the Fourteenth Amendment. The first book to fully articulate the contours of Scalia’s constitutional philosophy and jurisprudence, Rossum’s insightful study ultimately depicts Scalia as a principled, consistent, and intelligent textualist who is fearless and resolute, notwithstanding the controversy he often inspires.